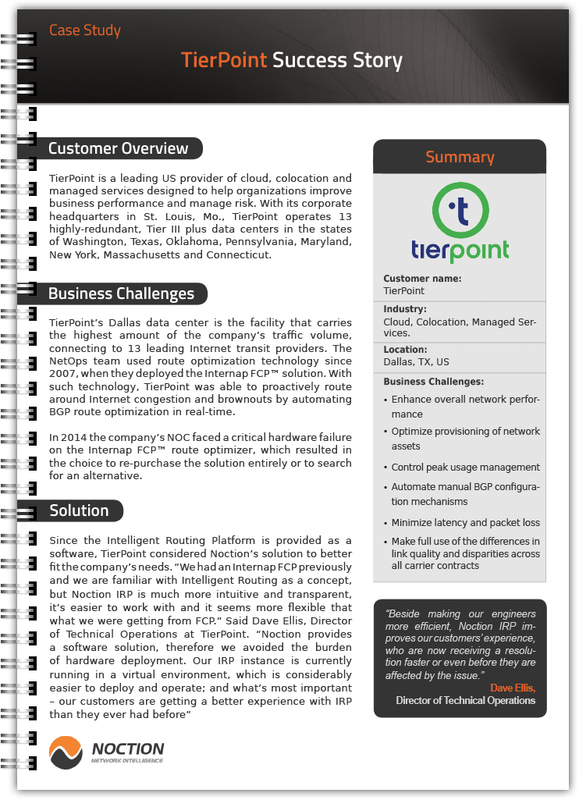 TierPoint is a leading US provider of cloud, colocation and managed services designed to help organizations improve business performance and manage risk. With its corporate headquarters in St. Louis, Mo., TierPoint operates 13 highly-redundant, Tier III plus data centers in the states of Washington, Texas, Oklahoma, Pennsylvania, Maryland, New York, Massachusetts and Connecticut. Over 3,000 TB of traffic optimized by announcing over 4.5 million route improvements to the company’s edge routers. Latency reduced by an average of 26% and packet loss dropped by an average of 93% for the analyzed prefixes. Lower 95th percentile billing rates and increased headroom in the overall network.